The Liberty Group’s mission to reinstate Hartlepool pipe mills’ as a global force in the oil and gas sector has taken a big step forward with the news that the plant has secured a multi-million-pound order from Subsea 7 to provide large diameter steel pipe for Statoil’s Snorre Expansion Project off the coast of Norway. The contract, which amounts to over 13,000 tonnes of production, will provide work on the plant’s 84” mill for nearly a year and is the first in an expected series of new orders for the 140-worker site, now making a strong comeback following its acquisition by the Liberty House Group in September 2017. The pipe for the Subsea 7 order will be the largestdiameter ever produced at the mill. New orders are also expected soon that will boost production substantially over the coming months on Liberty Pipes Hartlepool’s 42” pipe mill. 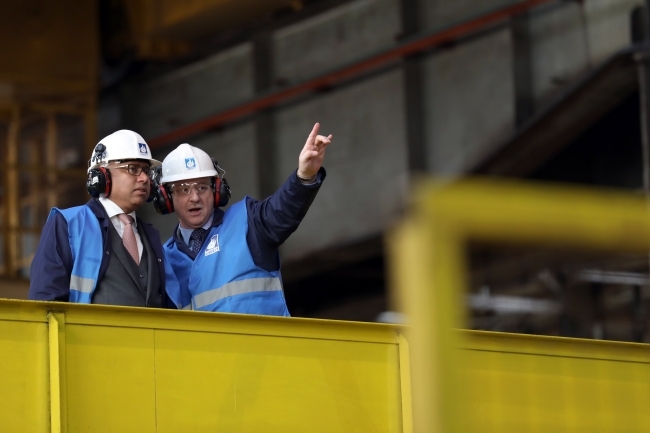 Following his acquisition of the plants, industrialist Sanjeev Gupta, founder and executive chairman of Liberty House – part of the GFG Alliance – pledged to restore the mills to their former prominence in key markets such as oil and gas and construction. Subsea 7, the global seabed-to-surface engineering, construction and services contractor, has chosen Liberty to provide the pipe for its engineering, construction and installation contract with Statoil – one of the world’s largest offshore energy companies – for the expansion of the Snorre oil and gas project in the Tampen area, nearly 150 miles off the Norwegian coast. This includes the installation of three pipeline bundles containing the flowlines and control umbilicals necessary for part of the operation. Using pipe from Hartlepool, Subsea 7 will produce the pipeline bundles in its fabrication facilities at Wick, Scotland, with installation on site in the North Sea scheduled for 2019 and 2020. 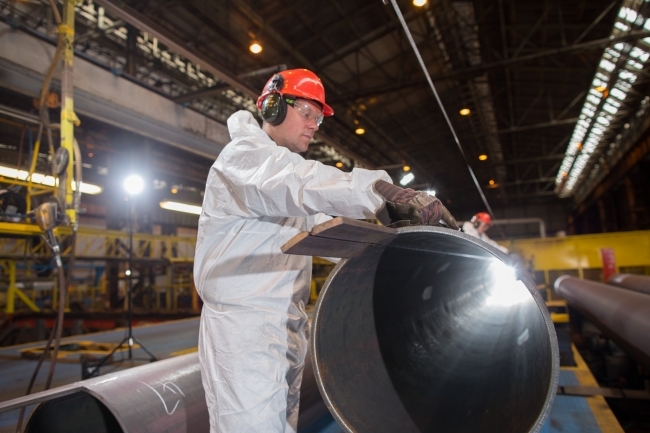 The contract is the largest secured by the Hartlepool plant since Liberty purchased the 42” and 84” submerged arc-welded pipe mills from Tata Steel UK last year. Pipe for the Snorre scheme will be manufactured in nine metre lengths from heavy duty steel plate designed to withstand the hostile environment of the North Sea and then welded into 27m spools which will be coated at the Hartlepool plant before being transported to Subsea 7’s fabrication unit at Wick.